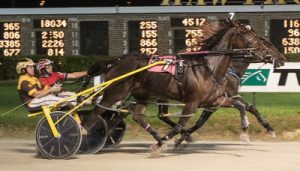 Thanks to the Illinois Department of Agriculture and the Standardbred Breeders Fund Advisory Board the final chapter on the 2017 Illinois Standardbred season hasn’t been written yet. The first of two Saturday’s, of the Fall Review cards, for strictly for ICF horses will take place this weekend at the Illinois State Fair Grounds at Springfield Saturday, September 30th. The second Fall Review is next Saturday, October 7th. As for the horsemen’s response for return of the Fall Review to Springfield, all I can say is Wow! It certainly exceeded my expectations and probably just about everybody else’s in the Illinois Standardbred community. Over 100 ICF horses were entered for Saturday’s Fall Review. With the size of each field limited to the pre-announced figure of seven horses per race, a total of 20 heats will be contested, all with a $5,000 purse. That’s a total of $100,000 in purse money that will be doled out Saturday by the Illinois Department of Agriculture. Purses will be split 50-25-12-8-5 to the top five finishers, with any horse finishing sixth or seventh receiving a stipend of $100. A $40 starting fee was applied for each horse racing. Three divisions were needed this Saturday for both ICF 3-year-old paces. 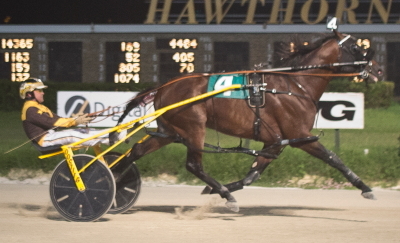 The sophomore colt and gelding pace, lured 20 of “the boys” while 19 second season “gals” passed the entry box. The 12th race, second 3-year-old male pace split, has the Tom Simmons Stable’s Fox Valley Herbie (Mike Oosting), the Du Quoin champ and a Hawthorne Carey Stake Series winner with almost $60,000 on his card, pitted against the Nick Giberson Stable’s Fox Valley Nemitz (Jamaica Patton), the Cardinal stake titleholder and a two-time Carey series winner. The first sophomore filly division has four pacers with over $20,000 in season earnings fighting it out: A Real Doozie, Fox Valley Dandy, Prettyfaceuglyways and Fox Valley Charliz . The third filly split is headed-up by the Wilfong family’s home-bred Boogie On Down, who had a four-race winning streak this summer that included the third leg of Hawthorne’s Plum Peachy stake series and the Springfield State Fair championship. Regular driver Kyle Wilfong, will steer the Skydancer Hanover filly. The first seven Fall Review contests Saturday are 2-year-old events, with the opener comprised of freshman male pacers: Beach Shootingstar, Sports Creek, Talk About It, Sheriff Coffey and Hart To Heart, a Governor’s Cup division winner last month at Du Quoin for the Brink stable. The second colt and gelding split is a battle between Al’s Briefs, Not Me Gram, Who Deen E and Backstreet Lawyer, the Incredible Finale runner-up last Saturday in the $195,000 Final on Hawthorne’s Night of Champions. The seventh race, the first division of the 2-year-old colt and gelding trot, has division rivals: Illinimight (Mike Brink), fresh off his triumph in the Night of Champions $115,000 Kadabra Final, against True Detective (Curt Grummel), the Cardinal champ and a three-time Kadabra stakes series winner, who unfortunately, went off stride in the final while in contention. Bucklegirl Bobette (Inside, Kyle Wilfong), victorious in the Maurello Final, is a Fall Review starter. (Four Footed Photo). The Fall Review’s ICF 4-year-old pacing mare division brings out the Night of Champion’s Tony Maurello Memorial winner, Bucklegirl Bobette (Kyle Wilfong), who overcame the outside nine-slot in the $60,000 championship for her Illinois owners Hart Walker (Jerseyville), Charles and trainer Bob Walker (Carrollton) and Robyn Klinger (Carrollton). Bucklegirl Bobette will go postward, in the 16th race with a flashy record of 7 wins, 2 seconds and 1 third in 12 season starts and a $69,377 bankroll when she takes on Mimosa Party, Cola Gram, Dune On Time, Frontier Michelle, Lexington Lady and Summer Party. Post time for Saturday’s Fall Review program and next Saturday’s as well, is 11 am and parking and admission is free. While there is no pari-mutuel wagering on the card there will be a pick-a-winner contest on each event, where fans can win prizes for correctly selecting the winning racehorse, so come out and enjoy the final two days of Illinois harness racing for 2017.